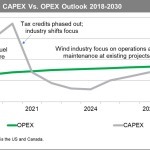 "The O&M market for North American wind installations is a steadily growing industry"
HOUSTON--(BUSINESS WIRE)--Operations and maintenance (O&M) expenses for wind power assets will cost the industry about $7.5 billion annually by 2021, according to new analysis from IHS Markit (Nasdaq: INFO), a world leader in critical information, analytics and solutions. 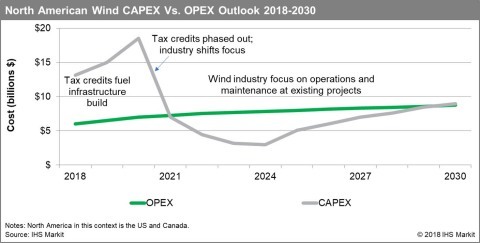 IHS Markit estimates the current North American wind O&M market is valued at approximately $5 billion to $6 billion annually, but is expected to exceed $8.3 billion by 2027, an increase of nearly 40 percent. The IHS Markit study comprises data from more than 325 wind projects, representing 34,000 megawatts of capacity and nearly 20,000 turbines installed in North America. The data represent more than 150,000 turbine-years of operational history from more than 15 turbine original equipment manufacturers, allowing study participants to track projects and turbine performance over time. To speak with Max Cohen, Michael McNulty or Rafael McDonald, please contact Melissa Manning at melissa.manning@ihsmarkit.com. 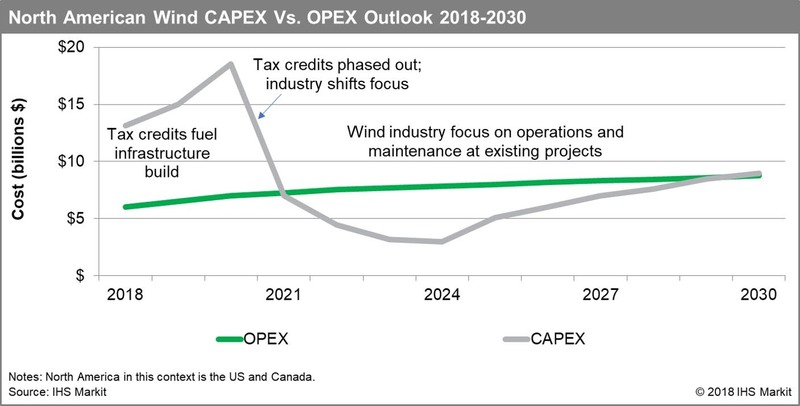 For more information on the 2018 IHS Markit Wind O&M Benchmarking in North America: Aging Turbines, Rising Costs, contact leslie.downey@ihsmarkit.com.